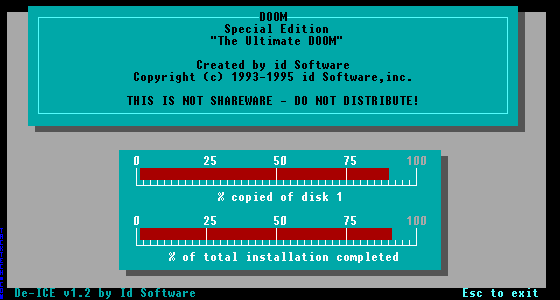 Installing The Ultimate Doom for DOS from CD. 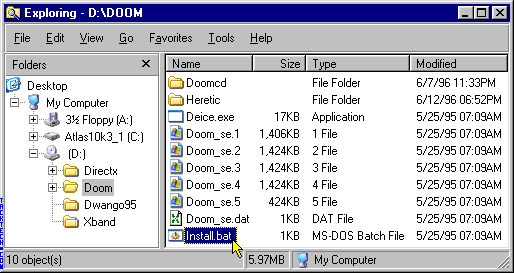 (Doom) - TACKtech Corp. 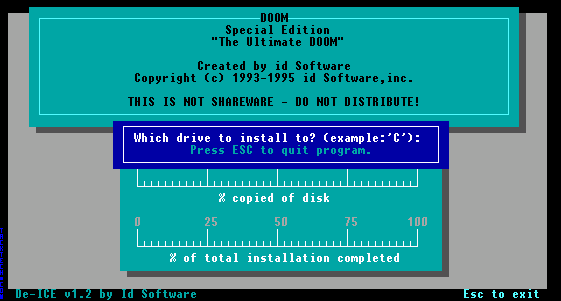 Installing The Ultimate Doom for DOS from CD. 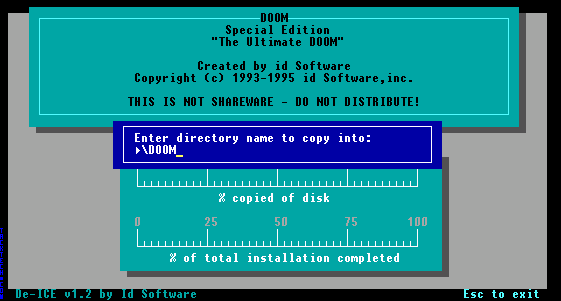 This article will show you how to install The Ultimate Doom for DOS from CD. 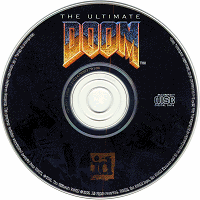 Insert The Ultimate Doom CD into your CD-ROM drive. 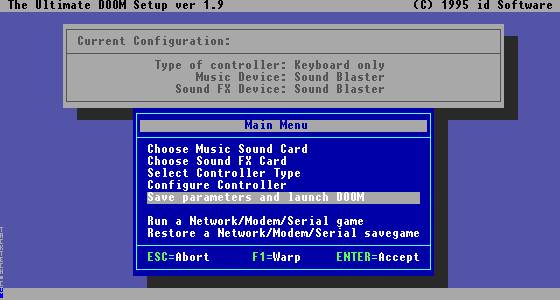 Note: The CD-ROM drive letter is drive D: in this example. 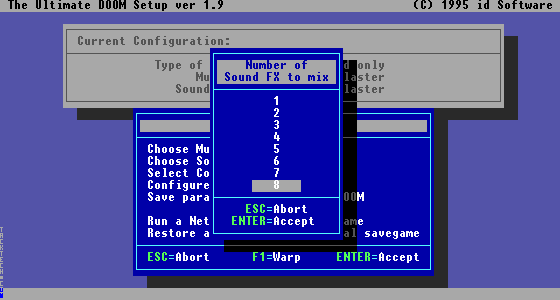 Wait for the installation files to copy to the hard drive. 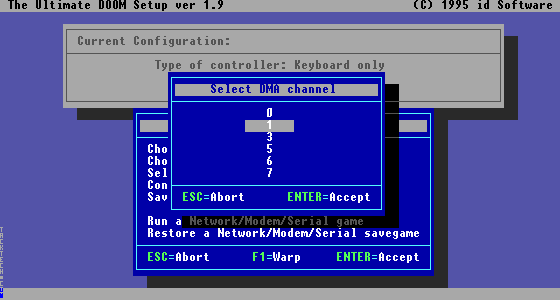 Note: If you are a Keyboard Junkie select Keyboard only. 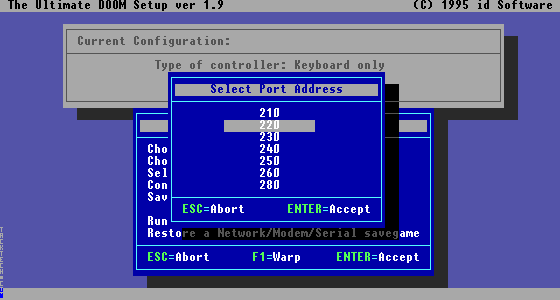 Back in the day, people who used the Keyboard were considered more skilled. 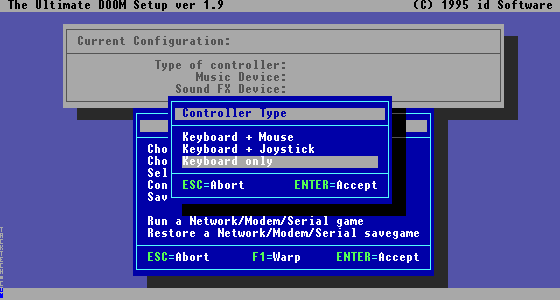 Now, use of mouse is expected. If you are playing a DeathMatch use a Mouse unless you are daring. You always can tell who is using a Mouse. 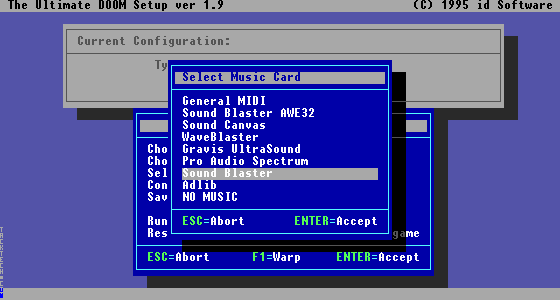 Note: Most sound cards this days are Sound Blaster compatible; however, with newer sound cards and Windows General Midi works and sounds better. 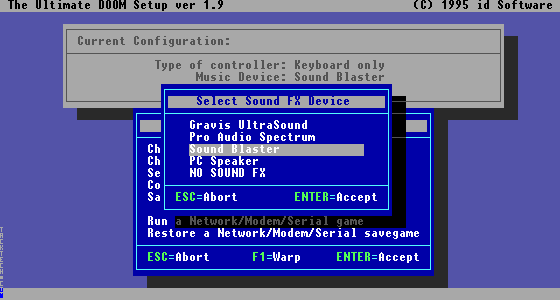 If you are using Windows NT or Windows 2000 choose NONE since DOS audio playback is forbidden. 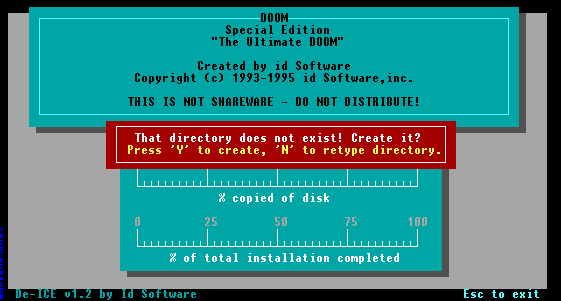 Note: Use Eight unless your PC is a fossil. 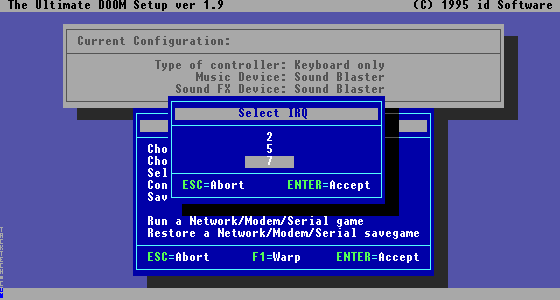 Press the ESC key, if you do not wish to play at this time. 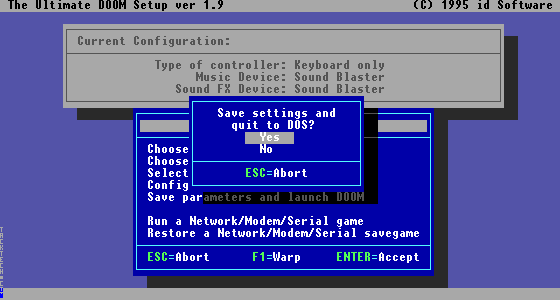 The remaining step is only for those of you who pressed the ESC key on the previous step.